Since the focus of my blog is on mental health, I have been contemplating whether I think “mental illness” is the right term to use. This terminology has so many negative connotations in our society that I think we need to examine whether it should be replaced. After all, when someone comes down with the flu or breaks a bone they don’t go around saying they have a physical illness. Using the mental illness label seems to perpetuate discrimination and non-parity in medical treatment, insurance, and healthcare policies. What then, would I propose to use instead of the words “mental illness”? One thought is to use the actual name of a particular illness, which in some cases may also require re-labeling to avoid the stigma that is associated with such terms. Lumping so many conditions under one label is outdated, since we now have a body of scientific evidence pointing to a wide range of causes such as genetic, metabolic, neurologic, environmental, hormonal, viral illnesses, brain injuries, and aging. Changing the language we use to more accurately depict their origins may help to dispel the misinformation about these illnesses. Our understanding and treatment of “mental illness” has come a long way and continues to evolve with time. I predict that eventually all of these illnesses will be shifted into different categories, just as epilepsy and Parkinson’s disease moved out from under the mental illness umbrella. Wouldn’t it be nice if one day people could tell their friends, family, and co-workers about their illnesses without worrying about the negative repercussions. 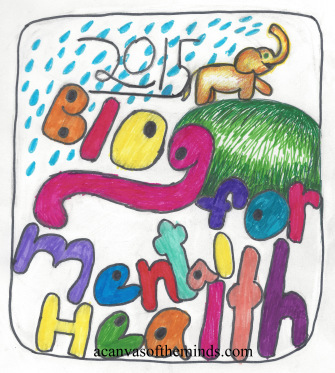 For now I will continue to classify my blog under Mental Health Topics and also use other tags as a way to connect with people who, like me, have been impacted in some way by that label. 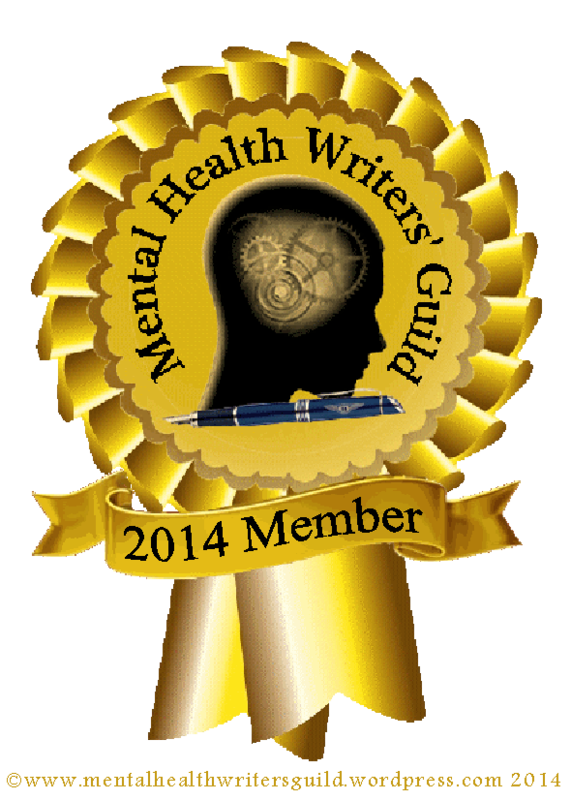 This post has been submitted to the Blog for mental health. The link to the blog is above, and I encourage you to check out this blog which is dedicated to raising awareness about mental health. It has come to my attention that you have been saying some pretty negative things about me lately. I think it is time to stop being so hard on me because I really am doing the best I can. Sure I’m getting older now and fall down sometimes when I run and make a fool of myself. That doesn’t mean you have to remind me of how clumsy I am every day. And yes, I may sometimes make mistakes at work, but can you maybe remember some of the positive things I’ve done in the 18 years I have been on this job instead of just the times I was juggling too much and made a few boo boos? Oh yeah, and I hope you will realize that although I am no longer the young cutie I used to be and may have a few extra pounds, lines on my face, and a few new ailments, my body and mind are as strong and healthy as ever. Next time you look at the Victoria’s Secret catalog and think I should look like that, please remember that my breasts helped nurture those two amazing young ladies that I brought into the world. Instead of feeling ashamed of that 2-inch scar on my breast that has been there since I was 13, be thankful that the lump that was removed was benign and that I have lived 40 wonderful years since then. I acknowledge that it is hard for someone like you (slightly obsessive) to reconcile my image with the ones you see on television, in magazines, and at the movies, and I’m not just talking about the young women. Don’t buy into the message that it is somehow my responsibility to look 10 years younger no matter the cost, just to fit in. It simply isn’t true. The only person I can be and look like is myself. Let me embrace who I am the way I embrace who my children are. Be proud of me for overcoming an eating disorder so many years ago and sticking with my recovery even when it seems like everyone else is hyper focusing on their bodies and the latest fad diets. As hard as it may be, please stop trying to make me feel bad whenever I am experiencing anxiety and find it difficult to concentrate. I’ve made amazing strides despite the anxiety, but it hasn’t been easy. Some days I just need to slow down and rest. Some days I need to just BE without having to prove to myself or the world that I am “normal”. What is normal any way, and why would that be the standard you set for me? Isn’t it better to just let me be me? Next time you have the impulse to criticize and judge me, please stop for a moment and remember all of the strengths that have brought me this far and find a way to celebrate. Make a commitment to me that no matter how many times you start to believe the lies, you will at least begin to acknowledge the ways in which those lies are untrue and counter them with all of the wonderful things about me that you chose to minimize or ignore. Today is a great day to write. It is cold and there is still a lot of snow on the ground. I have gone back to keeping a journal after taking a bit of a break. I usually stop right when I need it the most. It is amazing how much I discover about myself when I maintain a regular practice of journaling. It is hard not to notice what is going on when it is right in front of me in black and white. Keeping a journal provides a safe place to deposit some of the blather that goes on in my brain, without censorship. It helps me to let go of some of my worries so I don’t carry them around during the day. As the anxiety accumulates again throughout the day, it is nice to know I have a healthy, enjoyable outlet for expressing my stressful thoughts. Writing in a journal helps keep me from saying hurtful things I may later regret when I am feeling angry or upset. It helps me to discern when it is important to have a difficult conversation with someone and to figure out the best approach. As a young girl, I wrote in a diary as a way to cope with the impact my mom’s mental illness had on my life. Sometimes I shared some of my journal entries with a close friend, when it was too hard to verbally express what was going on and I needed support. Journaling was a big part of my recovery process from an eating disorder and helped to alleviate my anxiety. About Health has some great ideas for journal topics as a recovery tool for eating disorders. Keeping a Grief Journal for the first year after my brother died helped me to work through the pain I was experiencing. There are a lot of things I wouldn’t remember about that time if I hadn’t written about it. Every now and then I like to go back and read what I wrote, and I can see clearly my progression through the stages of grief to acceptance, and back to the realization that this journey is never complete. *If you want to start a Grief Journal, I recommend visiting Hellogrief.org. They have some great suggestions for keeping a grief journal for the non-writer. I used to buy pretty journals that I would keep in a safe hiding place. Now I enjoy typing instead, using various methods to maintain my privacy so that nobody ever has to be subjected to my darkest rants. A few years ago I discovered morning pages, as suggested by Julia Cameron, author of The Artist’s Way. I love that book! It has some great ideas for tapping into one’s creativity and daily journaling is part of the process. I don’t always adhere to the morning part of it, which she strongly advocates, but I do make an effort to at least get something down on paper on a regular basis. Prevent and Treat Childhood Trauma #1000Speak for Compassion. Thanks to Kitt O’Malley for her moving post on childhood trauma. I must admit I was a bit shaken up after watching the TED talk on the long-term effects of having an experience with childhood traumas such as physical and emotional abuse, neglect, and having a parent with a mental illness. It is no surprise that my ACE score is high, and I have long suspected that I probably have some sort of PTSD from the way I grew up. I developed an eating disorder during my teen years as a way to cope with the chaos and have had ongoing generalized anxiety throughout my life. My brother passed away from a cardiac arrest at age 51, and I can’t help but wonder if it was partially related to the amount of stress we experienced early in life. Despite the rather bleak outlook for people like me, I am banking on the fact that I am the type of person who believes in turnarounds and is always seeking out ways to improve my mental and physical health. The effort it takes to continually grow through writing, educating myself about mental health topics, incorporating recovery practices into my daily life, being part of a supportive community, and developing healthy relationships is well worth it to me. I rest all of my hope on knowing that I am not a victim of my experiences but rather a student who can continue to grow, improve, and live a full and satisfying life, one day at a time. Telling myself I wish things came easier for me, like it does for everyone else. Fortunately I have lots of loving supportive people in my life to help me get through these times. As a few of my friends have told me, “you should go back and read some of your own posts…..” I am thankful for these reminders of how far I’ve come and what helps me get through these occasional bumps in the road. I have many exciting changes in my life right now and I want to be able to relax and enjoy the ride rather than finding things to worry about. I recently returned from an awe-inspiring 3-day backpacking trip in the Grand Canyon. For those of you who have known my struggles with anxiety in the past, you know that it was nothing less than a triumphant experience for me. The gradual recovery from my fear of flying, heights, and dying (to name a few) over the years has turned this trip into a symbol of hope and gratitude for me. I’ve always been one to push through my fears, and worked hard at not allowing them to keep me from doing things. I’ve flown on a regular basis for work, vacations, and to see my daughters, and even gone to Africa on a medical mission trip. What makes this trip different is that it represents a return to the girl I used to be – the one that didn’t think twice before undertaking an adventure. It was my dear friend who suggested the trip, and we joked that as soon as she brought it up I said “yes”! How wonderful it feels to be in a place where I am saying “yes” to things I’ve always wanted to do without the hesitation that anxiety brings. I’m not saying that I never have moments of anxiety. Sometimes simple, every day experiences can induce more panic than the big challenges. That’s why I have learned to fully appreciate and enjoy any moment where fear is no longer an obstacle. In the first few days after returning from my trip, I realized that this experience illustrated many lessons about how to handle the challenges of a mental health issue, which I would like to share. Although some of them may seem cliche or obvious, anyone who has struggled with a mental illness knows how important it is to be reminded of them when things get tough. Lesson #1 – Be Prepared and Seek Help from the Experts: This one seems obvious but can be difficult when one’s judgment is clouded by a mental illness. We were going to take the trip by ourselves but my other dear friend made the brilliant suggestion of going with an experienced tour group. This was an excellent suggestion, as they brought the expertise that we lacked and provided the necessities that we would have overlooked. Being prepared for our trip also included physical conditioning and nutrition, learning about the terrain, weather, camping, backpacking, and asking any questions that came to mind ahead of time. This seems to be a weakness of mine, as I tend to go into things blindly. I am so thankful my friends were on top of this and kept me well-informed. When it comes to one’s mental health, the first step is finding and relying on a good professional to be your ‘tour guide” and provide you with the answers and tools you need to effectively deal with your issues. Lesson #2 – Sometimes the Downhill is Harder than the Uphill: This seems counterintuitive. Prior to the trip, I had an argument with my husband, who had done the same hiking trip years earlier. He insisted that the downhill would be harder than going uphill and I insisted that couldn’t be right. I don’t often like to admit he is right, but was he ever! After 7-1/2 miles of downhill, my legs and body were weary from using my muscles to balance myself with each step, and pacing became difficult as I felt I was being propelled forward. Each step downward became harder, as I tried to lessen the impact and maintain my footing. The uphill seemed much easier, as I could take my time getting my footing, without the strain of trying to keep my balance. This is often true for those with mental health issues. Once over a big uphill hurdle, it seems like the return to every day activities would be all downhill. That is when it becomes evident that sometimes daily life requires more effort, as we strive to maintain our balance and prevent being propelled back into the stressors that can wear us down. Lesson #3 – Take Care of Little Problems Before they Become Big: Our wonderful tour guide’s wisdom came in handy with this one. At the first indication of a blister, she had us stop hiking and tape the vulnerable areas to prevent further breakdown and discomfort. This was true for any other aches and pains as well. Resting, hydrating, wrapping our muscles were all key to making the trip more pleasant. This is a tough lesson for those with mental health issues who often believe they should tough it out when symptoms begin to resurface, erroneously thinking it is a sign of weakness to ask for additional help. Catching problems early and being willing to take medication, seek counseling, and support from others is key to preventing a painful crisis later on. Lesson #4 – Don’t Carry Too Much Baggage: I talked earlier about being prepared, and the three of us had a hard time figuring out the difference between bringing too much and too little. Our tour guide assisted us with this, as we sat in the parking lot deciding what to put in our packs. She gently but firmly coaxed us into leaving certain items behind, while affirming that other items would be of good use. It was difficult for the three of us, who are known to over pack, but we were thankful not to have the extra 5 pounds after three days of hiking with the 30 lb.+ packs. I’d be lying if I told you I didn’t wish I had some of those items at certain times during the trip, but I got by without them and the lighter load made it worth it. Sometimes those with mental health issues need assistance in figuring out the things that are complicating their lives and contributing to the unnecessary baggage that weighs them down emotionally and/or physically. Being able to leave some baggage behind in order to move forward is essential to the recovery process. Lesson #5 – Stop to Enjoy the View: When the hike became particularly grueling it was easy to lose sight of the magnitude of the scenes surrounding us. Inevitably one of us would finally realize this and stop to take a look, prompting the rest of us to do so as well. I didn’t have a camera with me and it became a joke about how I impatiently chided my friend about slowing things down to take pictures. Now I am more than grateful to have those memories captured – not only because it made me stop to take in all of the smells, sounds, and views, but to see it through her eyes, when looking at the beautiful pictures. When one is in recovery from a mental illness, it is easy to have tunnel vision and not want to stop and see the beauty of a blue sky, flower garden, or the friend in front of you. Sometimes it takes a good friend to remind you to slow down. Being able to do this enhances one’s recovery and is what makes it worth pursuing. Lesson #6 – There is Something Bigger Than Me: Some call it God, a higher power, mother nature, the great spirit, and/or many other terms over the years. In those three days I came to realize that we are a small part of the vast beauty that exists in our world. I’m glad to know that I am not the center of the universe, and that its existence is not dependent upon me. One can allow little problems to seem so overwhelming that we become paralyzed and afraid to move forward. It is nice to regain perspective and have the freedom to make choices and mistakes, knowing that life’s “imperfections” are what ultimately shape our world and make it more interesting. Just as the Grand Canyon was carved over millions of years by the Colorado river, one never knows what beauty may later come from what was once perceived as a mistake. Lesson #7 – Circumstances Can Make Friends of Strangers: We had the pleasure of meeting a couple who was part of our tour group. Prior to our trip, we checked them out using the latest social media tools, and assumed that we had nothing in common with them based on their profiles. This theory was immediately proven wrong within the first few hours of meeting, when were all riding together in the tour guide’s SUV. The woman and I started having a discussion about hormones and figured out we had both recently been diagnosed with underactive thyroid. Soon we were all laughing and sharing stories. Her husband, who was quiet in the presence of five women, handled us with a dry sense of humor, piping in with comments along the way. We came to know and love our young, 24-year old free-spirited tour guide as well. Since we’ve returned, we have exchanged e-mails and kept in touch, all drawn together by this incredible experience. I love that about life. Whether it is on a quiet subway ride to work or during the most grim moment of dealing with a mental illness in the hospital or a support group, with an open mind, one may meet someone who offers friendship and encouragement when it is needed the most. Lesson #8 – One Person’s Failure is Another Person’s Victory: There are many options to seeing the Grand Canyon. Day trips, lookout points, challenging backpacking trips, alone or with tour groups. It was amazing to see the variety of people who were there – old, young, disabled, different sizes and shapes; all there to challenge and enhance their lives with this incredible experience; all moving at their own paces. I can’t imagine doing what some spoke of doing, going rim to rim to rim in one day, or being part of the long-distance running groups that skirted by us on the narrow paths, with sweat dripping down them. Other’s couldn’t imagine doing what we did, preferring to go instead to an overlook to see the views. For those who have mental health issues, it is easy to allow comparisons to others make one feel like a failure. “Why can’t I do what they did?” “Why is this so hard for me?” The only person one can compare to is oneself. Accepting setbacks as a part of recovery and moving forward from there is the key to recovery. One day we may be able to do things with ease that another day may seem impossible, and sometimes it is necessary to reset our goals, settling for the day trip in order to see the view, rather than the 3 day trip. It is easier to move forward when one accepts this rather than comparing to those around us, who have their own set of circumstances and challenges that may be completely different. Lesson #9 – Remember the Joy, Forget the Agony: By the end of our trip, we were exhausted and sore. The last mile was bittersweet, as we took more frequent breaks to ease our muscle pain and take in our last breaths of the Canyon air and the panoramic view. My recovery period seemed to be longer than my younger counterparts, and it took me a week to shake off the fatigue and muscle aches that now seemed like the only reminder of my trip. In those first few days I couldn’t imagine how I had done it or that I would ever want to do it again. Yet one week later we found ourselves missing it terribly and wanting to go back for another trip. I’m sure I will one day, based solely on the joy I experienced, pushing the aches, pains, and fatigue far to the back of my mind. This is vital to one’s recovery as well. Focusing on the joys experienced in life may seem bittersweet when one doesn’t feel like getting out of bed, pushed down by the pain of a mental illness. Remembering these moments of joy when one is faced with doubt about the possibility of ever experiencing that again can be enough to motivate us to do what is necessary to get back on the path to recovery. Lesson #10 – Hold on When the Wind Blows too Hard: The most terrifying, yet exhilarating part of my trip was when we hiked out to Plateau Point to see the sunset. This was to be the highlight of our trip, with promises of a pink and golden sky as the sun set over the huge rocks around us. As we hiked the mile and a half to get there, it became apparent by the cloudy, overcast sky, that we were not even going to be able to see the sun. The disappointment was palpable, yet we continued on, with the slightest hope that the clouds would dissipate into a miraculous shimmering, crimson sunset. Instead, just as we got to the big lookout rock, there was a huge gust of wind, making it almost impossible to walk across it without bracing oneself. Still, I was compelled to make it to the overlook railing. I grabbed onto the railing just in time for another gust of wind that didn’t seem to let up. I found myself grasping onto the railing, standing next to another young woman, and we instantly bonded over laughs of sheer joy and terror, as it became apparent we would not be able to let go until the wind subsided. This became the defining moment of my trip. Nature was in charge, not me, and all I could do was hold on and enjoy the moment. My friends were not able to make it to the rail, and sat instead on the rock until they felt safe enough to move. Their moment of terror was my moment of freedom. It is good to be reminded that we are not always in control of the agenda. Life has its own, and when it sweeps one up in a gust of wind, all one can do is hold on and enjoy the moment. 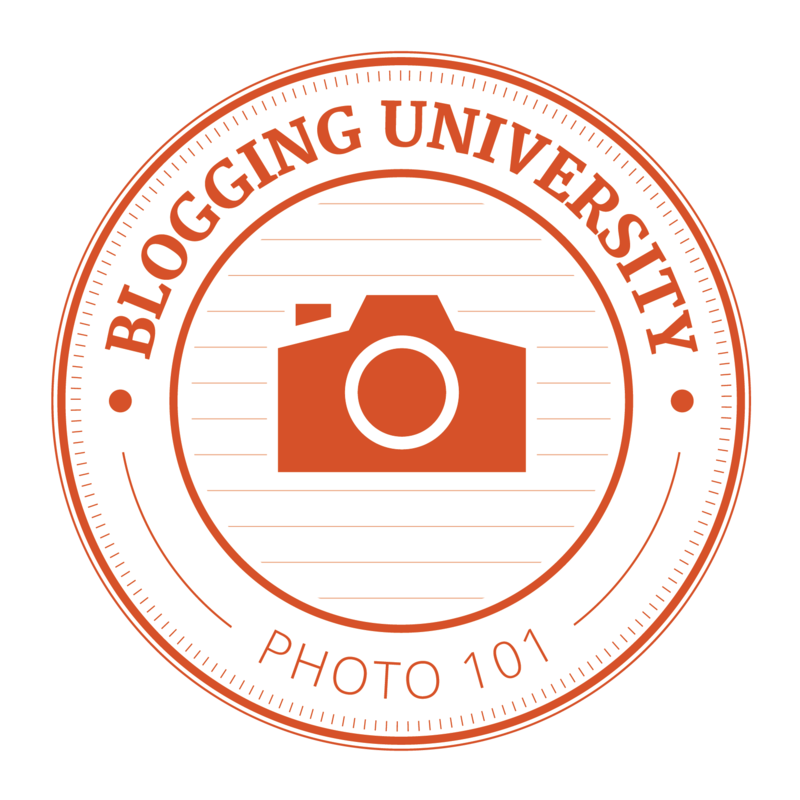 Lesson #11 – The Transition Back is Hard: This is my least favorite lesson. I wanted to believe my life had been transformed by this experience, and that I would be able to conquer anything now that I had tapped into my previously unknown reserves of courage. Going back to work and facing personal stressors would be a breeze now – right? Wrong! This week seemed even harder, like jumping into an ice-cold swimming pool. Going back to all of the stress and mundane tasks of life was no fun compared to such an incredible experience. Rather than being renewed, I felt unmotivated. It has been a week since we completed our hike, and I am just now getting my equalibrium. Transitioning from various situations can be particularly challenging to those with mental health issues. Incorporating some basic coping skills into one’s life as well as patience and understanding can help to make these transitions go a bit more smoothly. This is never more true than when one commits to maintaining his/her mental health. There are times when one may forget or decide to stop doing what is necessary to maintain mental and emotional stability, ultimately finding themselves hitting bottom once again. Surviving these setbacks is dependent upon one’s willingness to take the necessary steps to climb back out of the hole. Going back to the basics such as seeking professional help, attending doctor’s appointments, utilizing medication if necessary, and taking care of one’s self are mandatory elements of this process and will lead to a more successful recovery. I look forward to my next adventure. Until then, I will make an effort to apply the lessons learned in the Grand Canyon to my every day life.